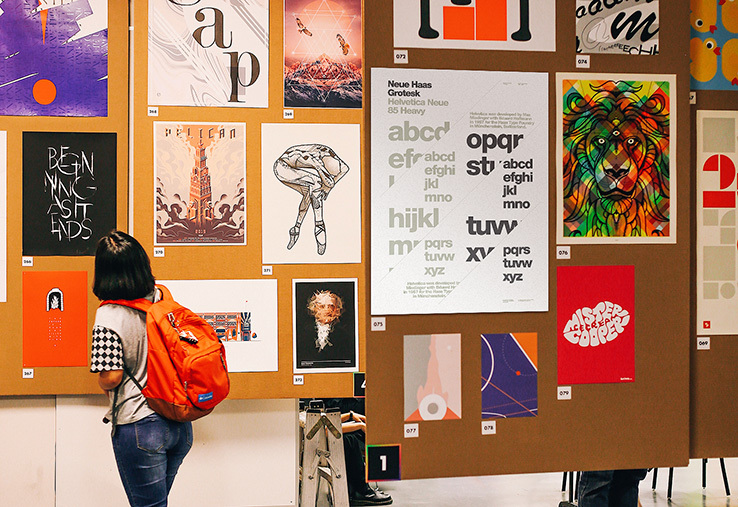 The Arizona State University Visual Communications Design students, invited typotherapy to take part in their 10th annual poster show. 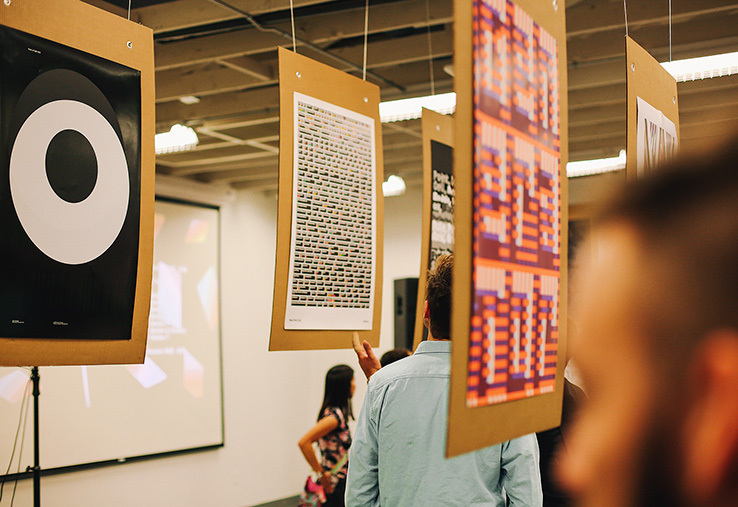 The fundraiser event is held for one special night, where posters by renowned graphic design professionals from across the globe, are displayed and auctioned to the public. 50 Years of Helvetica was our poster contribution for the show. We were very happy to be a part of the event. Design Mexico is another great event sponsored by the ADCC, held at the historic Great Hall and featured one of Anagrama’s founding partners, Sebastian Padilla. Sebastian initiated his talk by illustrating how and why he chose to be a graphic designer, how he works and collaborates with others as a result to his attention deficit hyperactivity disorder, which is a great advantage for him and his studio. With beer in hand, Sebastian spoke about how his experiences within the sharp contrasts of his city of Monterrey, shape his designs. At times, to show the dramatic contrast of his city, he made comments like: “Tourist don’t visit Monterrey. Monterrey holds some of the richest population of Latin America, side by side with extremely poor communities.” Influenced by this sharp contrast, his studio uses this juxtaposition as a method to create their work. For example, mixing bright colours from traditional Mexican hot candy vendors with high-end typography and European design styles. 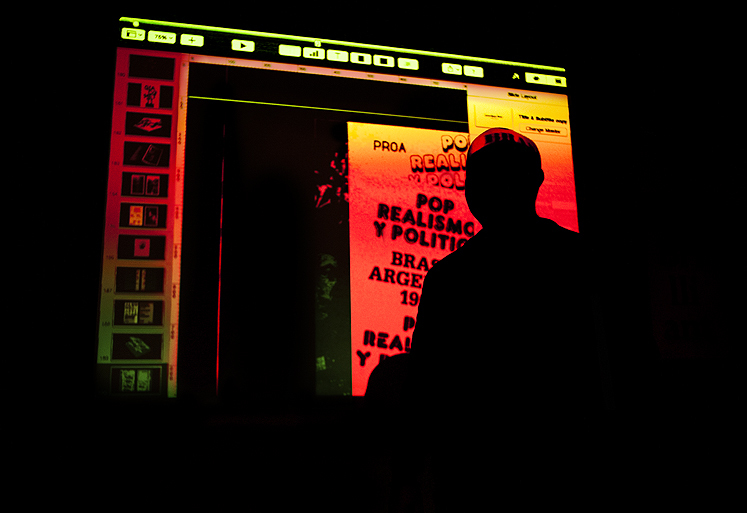 The lecture, filled with Helvetica laced slides, went on to showcase Sebastian’s many other areas of interest, intertwined with his graphic designs, — including a chain of toccoria restaurants and a film that is currently in production. The lecture did receive some criticism from an audience member (seemingly also from Monterrey), in the Q & A portion, around Sebastian’s perceived lack of respect for his city. The questioner went on to voice her opinion that Sebastian should be respectful, and think about being a good ambassador for his city/country when touring. Although this was unusual, Sebastian noted that this is his opinion and his experience with his city. The exhibit featured projects from participating studios and designer such as Aldo Arillo, Elle Mexico, Futura, Monumento, Orion, Óscar Estrada and Anagrama. To complete the series of Design Barcelona and Design London, Design New York featuring Paula Scher did not disappoint. Situated in an old church converted into a nightclub, the event showcased carefully selected work from six New York based studios, chosen by Paula Scher. As one of the founders of Pentagram, Paula Scher took us on a journey through her current design and typographic projects, to her personal map paintings and her past work including the iconic Public Theater posters and printed materials. From the Type Directors Club typographic experiments, Parons New School modular identities, to the redesign of Canada’s Heart and Stroke foundation, the presentation was unbelievably inspiring by such a humbling yet iconic designer. Some of her most memorable messages revolved around the fact that we now have all the new tools to work with (including print, motion, interactive) and we can now get back to just designing. And when developing an identity, it needs to take time to resonate once it is released. Identities shouldn’t be judged at first glance (in response to online critiques). Often the identity process evolves the client, understanding the audience and community. This plays an enormous roll with the outcome of the final product. The exhibit was just as exhilarating and featured projects from participating studios and designer such as Chip Kidd, Office of Paul Sahre, Sagmeister & Walsh, Doyle Partners, karlssonwilker and Pentagram. The caliber of work was impressive. DesignThinkers, Canada’s only conference for visual communicators, is a two-day event held annually in Toronto by the Registered Graphic Designers of Ontario (RGD). This year it was set in the St Lawrence Market neighbourhood. DesignThinkers 2016 delves into industry trends with visionaries from a range of communications-related disciplines including design, user experience, advertising, branding, consumer engagement, film, social media and entrepreneurship. We had the pleasure of attending the second day of the conference, which opened with ‘The Future of Virtual is Physical’ by Jake Barton—an in-depth view behind the process of creating ground breaking interactive virtual experiences. The conference also featured ‘Design in Retrograde’ a short presentation that revolved around the harsh criticism of the new Quinnipiac University brand identity created by Eddie Opara. The day also included inspirational talks by: Rob Duncan from Mucho, entitled ‘The 10 things you’re not supposed to talk about at a design lecture’; Matt Willey’s ‘From Tiny Start-ups to Historic Institutions’; ‘Wearing Multiple Hats’ by Lotta Nieminen; and ‘Self Indulgent Design’ by David Carson. The highlight presentation for us was Anton and Irene, a Brooklyn based design duo who outlined their emotional, hands on trials and tribulations of starting a design studio. It was a heart felt, funny and brilliant adventure—not to mention great work. The ADCC put on another great event entitled Design London. 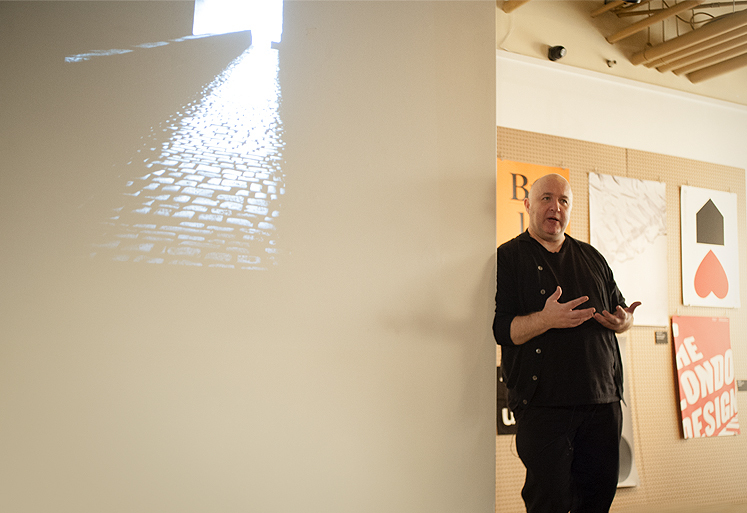 The event showcased work from eight of London’s top design studios and reached its high point with guest speaker Tony Brook (Creative Director of Spin). 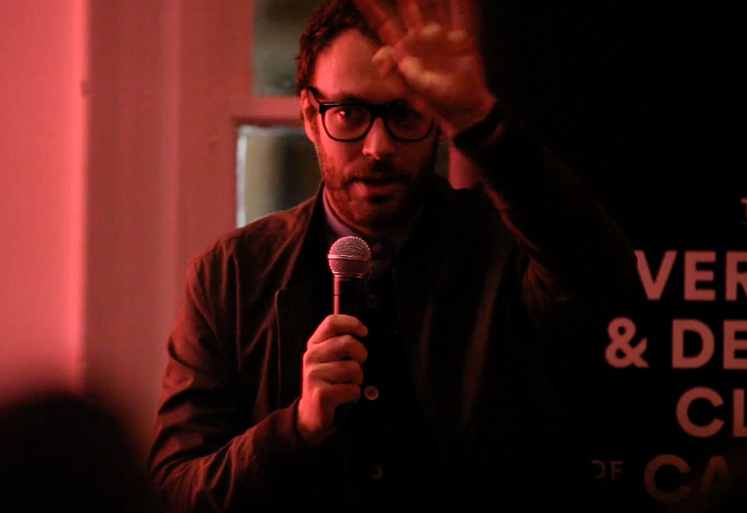 Toronto was graced by Brook’s straight up, down to earth talk revolving around his upbringing, the London design scene, his design studio, publishing company Unit Editions and his new book Spin 360˚. Not only did he have the audience engaged when he mentioned that he had let go a high profiled client and downsized his studio to focus purely on design centered work, but also had us participate in critiquing one of his identity projects which was pretty cool. And best of all, Tony Brook took loads of questions and really seemed to enjoy himself as he engaged in lengthy discussions with many participants. 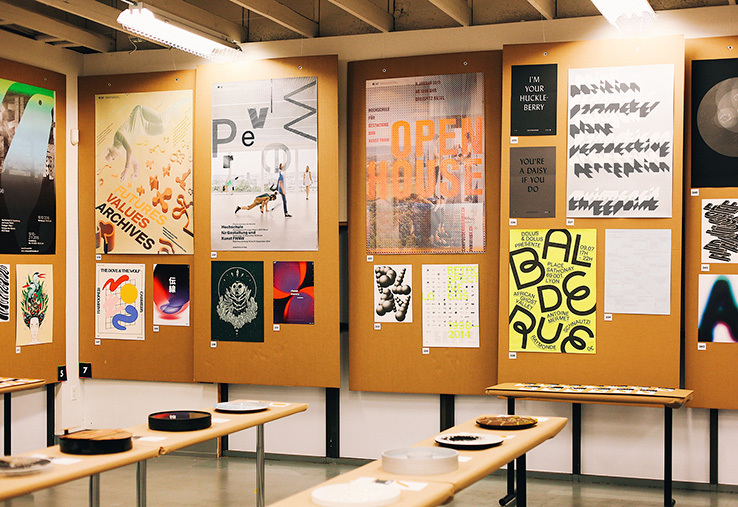 The exhibit was just as inspiring and featured a plethora of posters and books from participating studios such as Pentagram, North, Studio Fernando Gutiérrez, David Pearson, A Practice for Everyday Life, Morag Myerscough, Bibliothèque, and Spin. The calibre of work was impressive. We had the pleasure of meeting Tony Brook, who is truly one of the nicest, down to earth, people you will ever meet, with out a doubt. Design Barcelona was a very special event held by the ADCC in Toronto. The Creative Director at Mucho, Pablo Juncadella, talked about the design community in Barcelona and how many of the designers/studios are close knit and connected. The event also showcased an exhibition of work that featured participating studios from Barcelona including: Alex Trochut, Atlas, Folch Studio, Hey Studio, Lo Siento Studio, Mario Eskenazi, and Mucho. Brilliant event! The work coming out of Barcelona is amazing. Barcelona is a wonderful city, a place were creativity is celebrated. It was good to see a design community so connected with culture and one another. Hopefully we can take note from Barcelona to strengthen our design community here in Toronto.